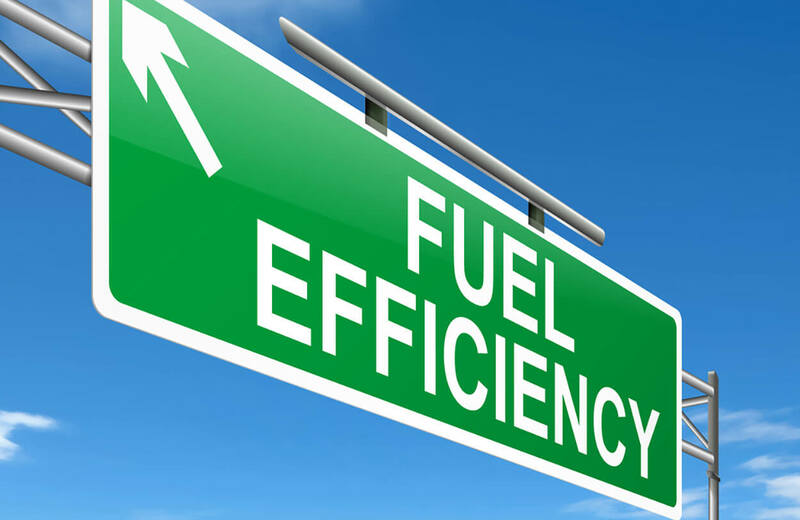 It’s happened to all of us at one point or another: you’re on your way to work or coming back from the grocery store and when you get into the car and start the engine, nothing happens and you see the car battery light on the dashboard. You’re frustrated, confused, and suddenly remembered that you don’t know how to jump start a car. But all hope doesn’t have to be lost if you follow these easy tips to spark your battery back to life. We will explain to you how to jump start a car! Your engine cranks but doesn’t start. If your engine cranks or turns over when you turn the key, and the car doesn’t start that’s one of the signs that you car battery is dead. The issue could also be your starter but 90% of the time it’s just your battery. Nothing happens when you turn the key. After you turn the key and nothing happens: there’s no sound, no dashboard lights and it still doesn’t start, this one of the signs of a dead car battery. The battery powers all the lights in your vehicle so if your car doesn’t look like the sky on the fourth of July, then the battery may be the culprit. You’ve already had to jump it before. A golden rule to follow is if you’ve had to jump your car more than 3 times in the span of a week, its best to buy a new battery because the one you have now is either old or faulty. Your car was working fine the other day. If your car was working yesterday but suddenly it’s not working today, this another of the signs of a dead battery, either way it needs a little shock back to life. So after you’ve decided the battery really is the problem, what do you do now? You’ve never jumped a car before and if you have, you don’t remember where the cables go. Well fear not friends, we’ve got you covered in just 8 easy steps. Don’t get stuck with a dead battery, all DriveSmart Plans come with Included 24/7 Roadside Assistance! 1. Jumper Cables. This is something you should always carry in your car along with your emergency kit. If you don’t have any, hopefully, you know or encounter someone who can loan you a pair. 2. 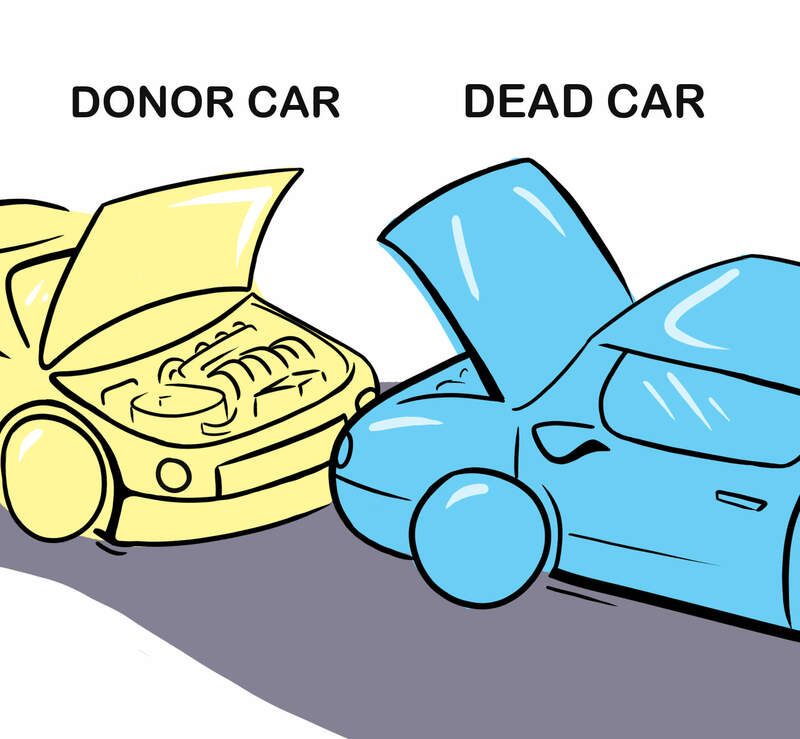 Once you have the jumper cables, park the two cars in front of one another, without them touching and turn off the engines. 3. 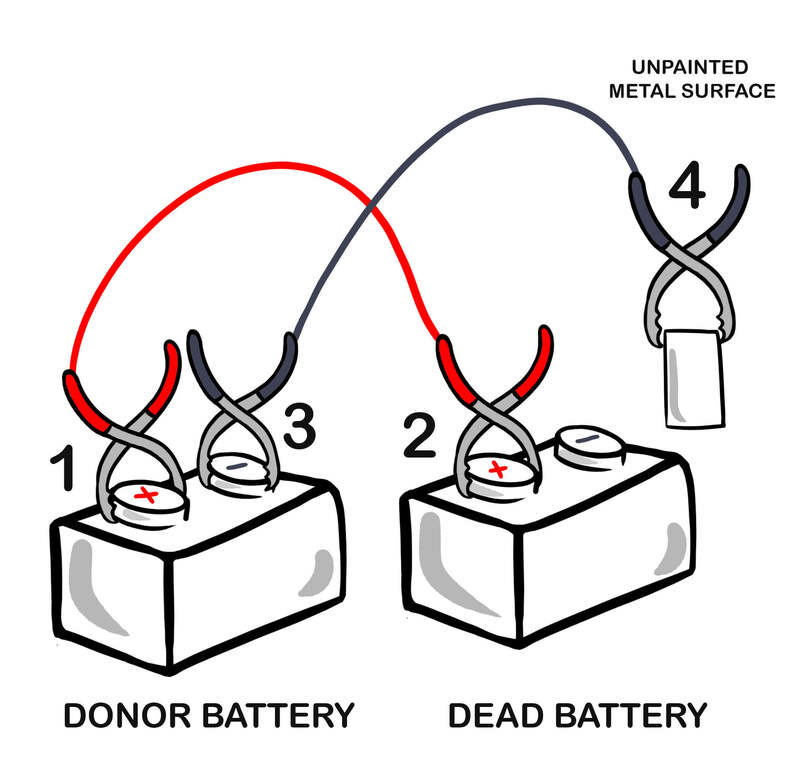 Connect one end of the red jumper cable on the positive (+) terminal of the dead battery. Wipe any excess off the terminal to ensure a good connection. 4. Connect the other end of the red cable to the positive (+) terminal on the good battery of the other car. 5. Place one end of the black cable on the negative (-) terminal of the good battery while connecting the other end of the black cable to a clean, unpainted metal surface under the hood of the stalled car. Do not place it on the negative (-) terminal of the stalled car. 6. Start the functioning car’s engine. Let it run for a few minutes and then start the other car’s engine. You can rev the engine of the stalled car to help. 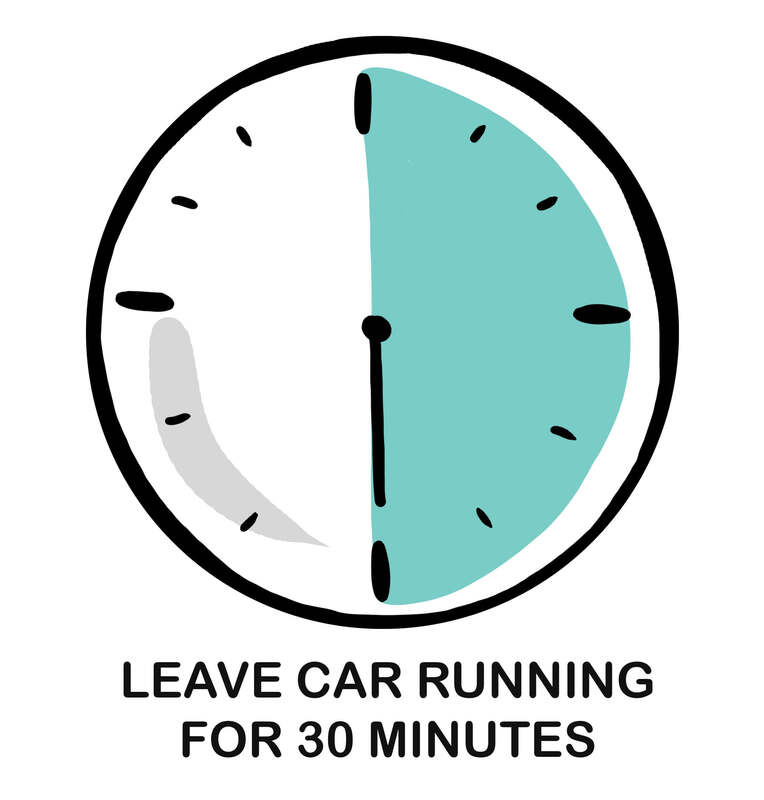 Once both cars are on, leave them running for a few minutes. 7. 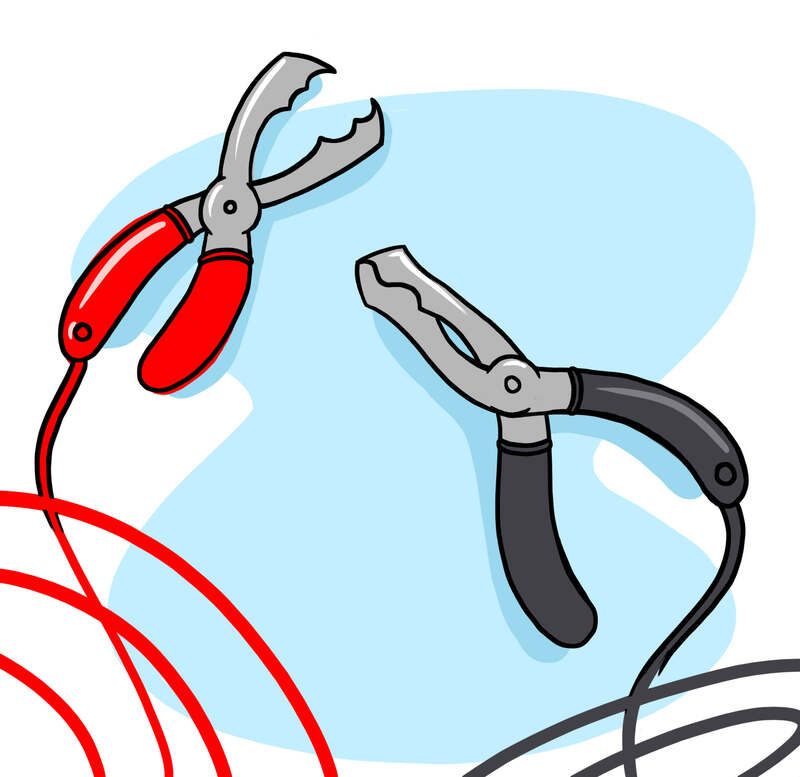 Once the disabled car is running again, remove the jumper cables starting with the black clamps. 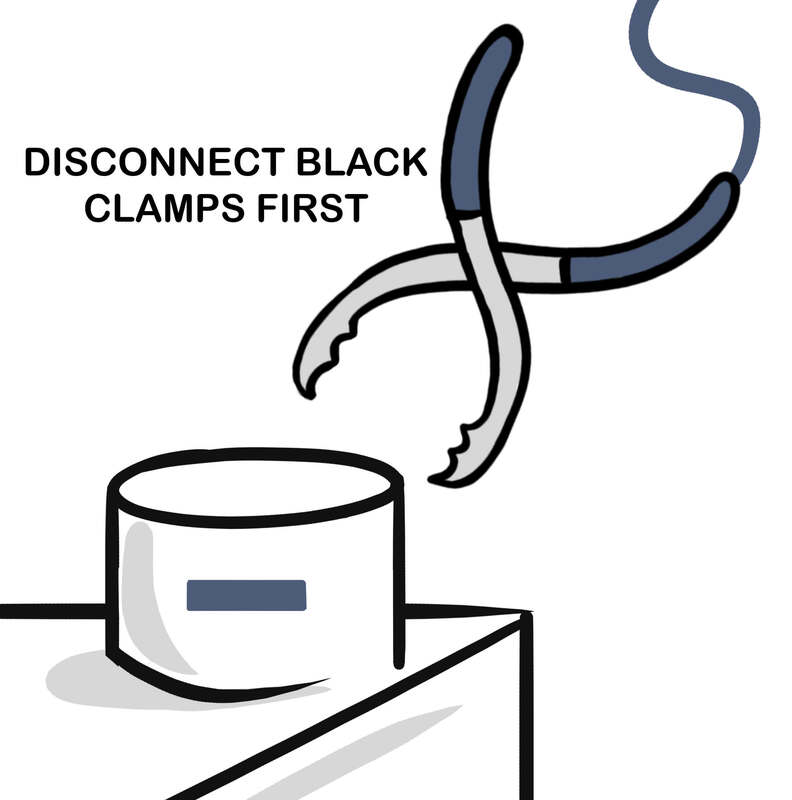 Be careful not to touch the clamps together while they are still connected to the car (sparks will happen). 8. Keep the jumped car running for at least 30 minutes to give the battery enough time to recharge. And then you’re done! Congratulations, you have successfully jump-started your vehicle! Now the next task is explaining to your family why the ice cream is melted. 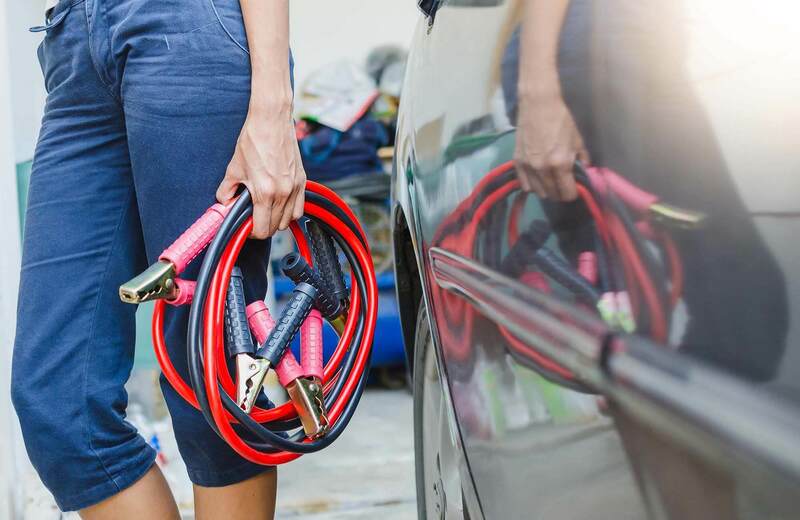 After reading these steps, you’ll be able to say “I did it, thank you Drive Smart!” If hands-on isn’t your style, give our Advantage Plan a look, which comes with Included roadside assistance that will do all this work for you.